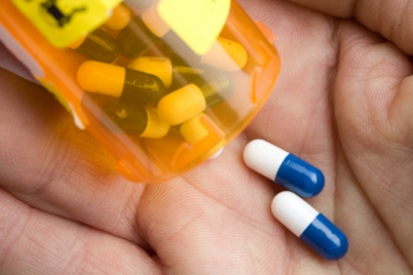 At ExamOne we are constantly looking for ways to improve the quality of our services and give your applicants a happier exam experience. One invaluable way for us to identify customer expectations, measure satisfaction levels, and uncover specific areas for improvement to the life insurance exam experience is through survey responses received from your applicants. The results (shown in graphic) are based on feedback provided by life insurance applicants whose exams were conducted by ExamOne, whether by a paramedical technician at the applicants’ homes or workplaces, or at an ExamOne paramedical service center. 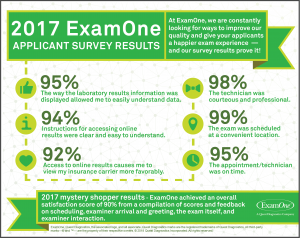 In addition to our post-exam survey for applicants, ExamOne utilizes a third-party mystery-shopper program to measure the applicant experience. 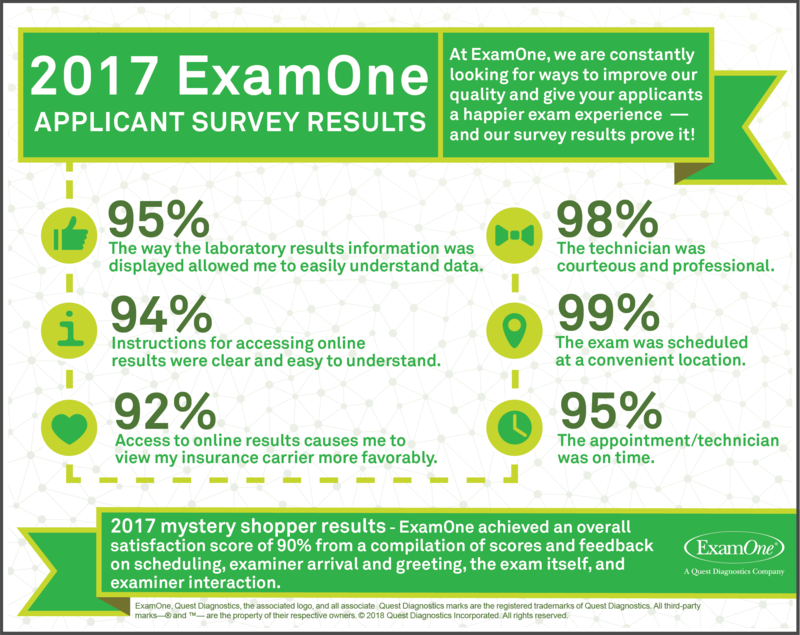 In 2017, ExamOne scored 90% satisfaction on the interaction with the examiner. An overall satisfaction score of 90% was achieved from a compilation of scores and feedback on scheduling, examiner arrival and greeting, the exam itself, and examiner interaction. These quality measures are used to help develop and enhance examiner training and workflows, allowing us to continually improve the applicant experience. If you would like more information about these results, contact your Strategic Account Representative.